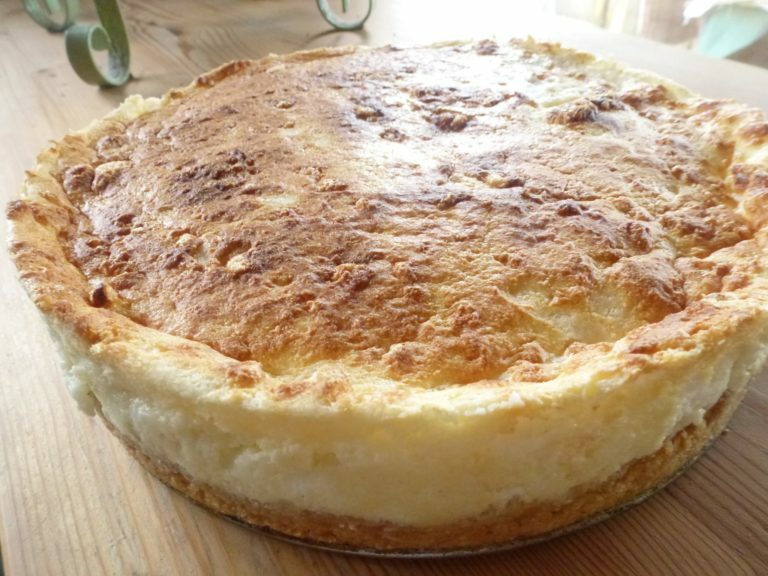 German Quark Cake – TeaWea – American Cheese Cake? 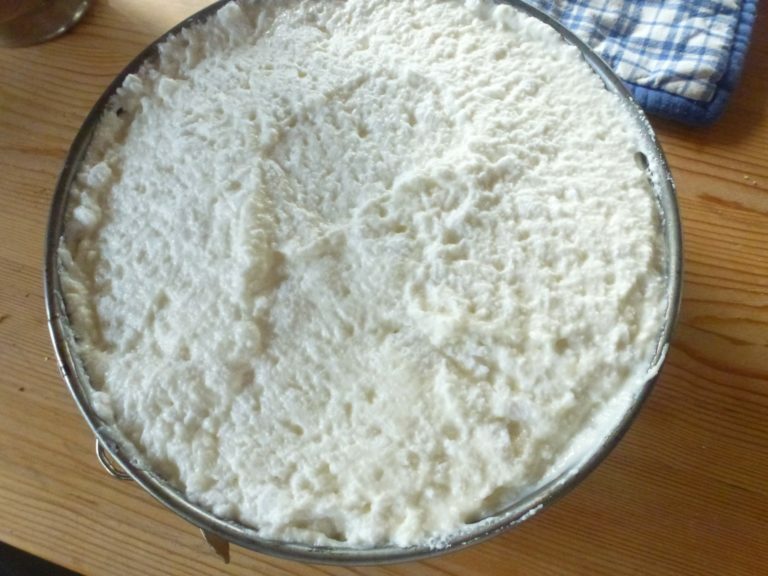 The German Quark Cake (German cheese cake) gets little attention in the American or Western world. 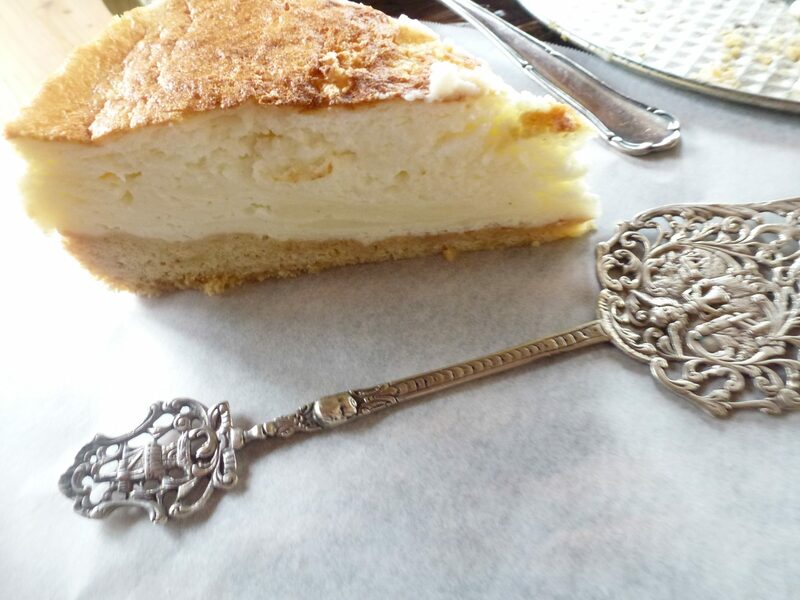 In reality, this could be comparable to a custard or vanilla pudding cake, but certainly not comparable to our version of cheese cake. Oddly enough, the vanilla pudding is left out entirely in the title, and the emphasis is on the quark. Not sure why, because when people realize they are eating a creamy, vanilla cream cake, they might have more of an interest. In this recipe, you make your own vanilla pudding and believe me, it’s very easy. Most recipes call for 2 packets of vanilla pudding mix, but make the cake more yours, and do it all from scratch. Vanilla pudding is simply cornstarch with vanilla, added with milk, then cooked over heat and whisked until it thickens. Follow the steps and you’ll delight yourself and everyone else who tastes it. This particular recipe I adapted from an old family German cookbook from the 1960’s. My mother-in-law would of course make quark torte often for the family. 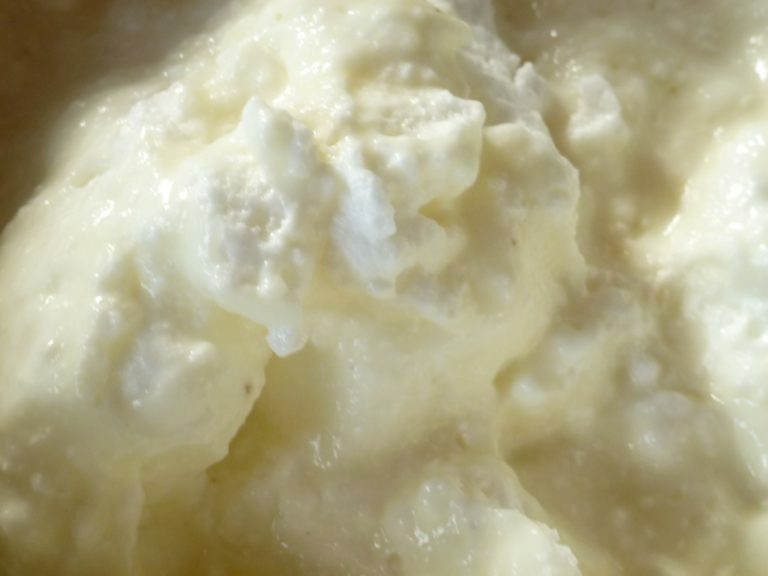 Quark is a great dairy product, similar to ricotta but with out the lumps. Maybe a more relate-able comparison would be to that of a yogurt. 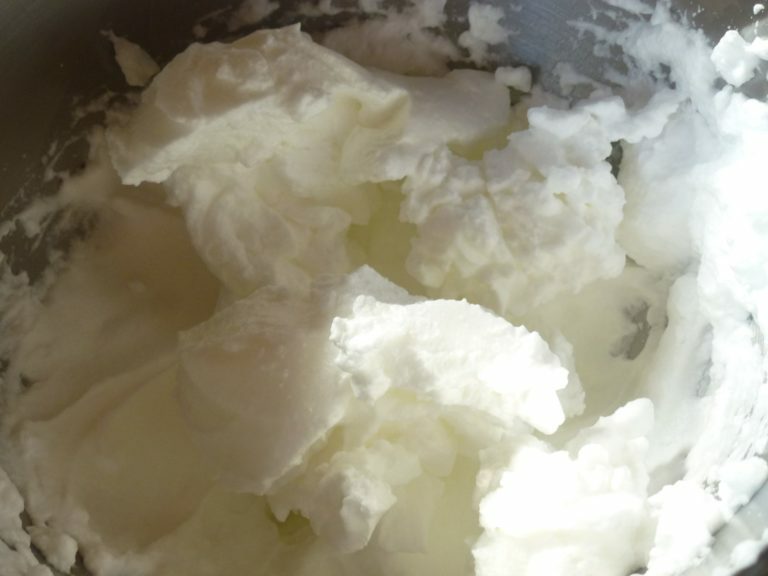 Quark can be made at home if you don’t have it available to you. It involves some work, but you can find many good recipes out there. The crust is simple and takes about 10 minutes to form. 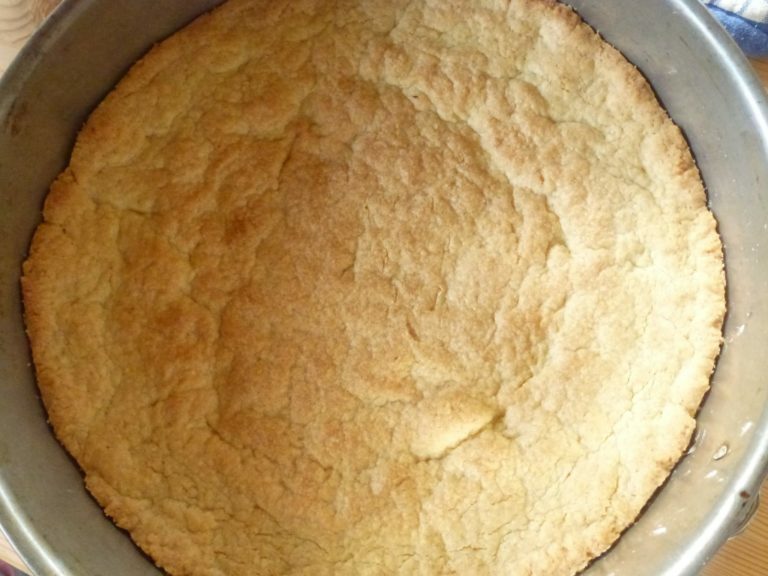 Then 30 minutes to pre-bake and it adds a very nice soft flavor to this cake. I think the outcome of my quark cake is similar to cheese cake, but no wheres near as heavy and guilty. What the Cheese cake is in America, is the Quark cake in Germany. This is a nice mid-century German recipe, easy to follow, and in my opinion, Germans do quark best. 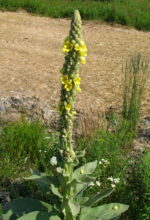 Give it a whirl!Enjoy. combine ingredients together and kneed by hand until well combined and formed. Set aside in cool location if you would like, for 30 minutes. 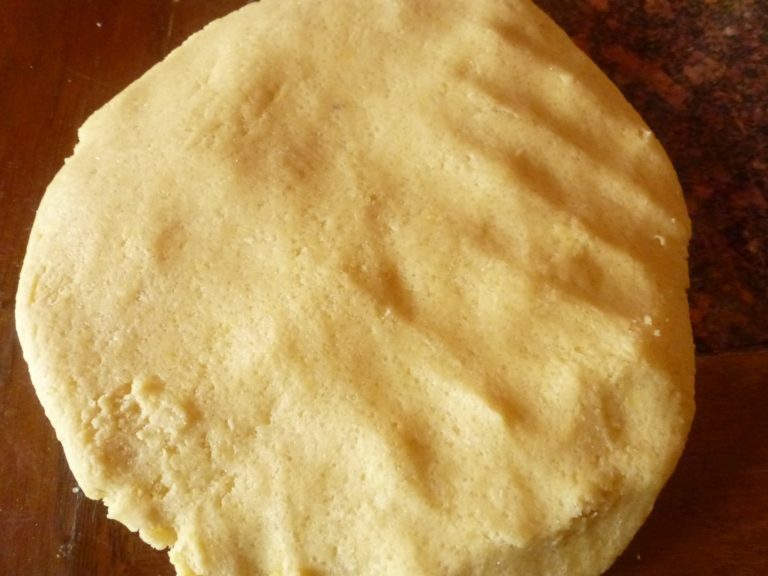 Using a spring form pan, just put the dough directly on the slightly buttered pan and spread evenly within the pan, bringing it up about 1″ on the sides. 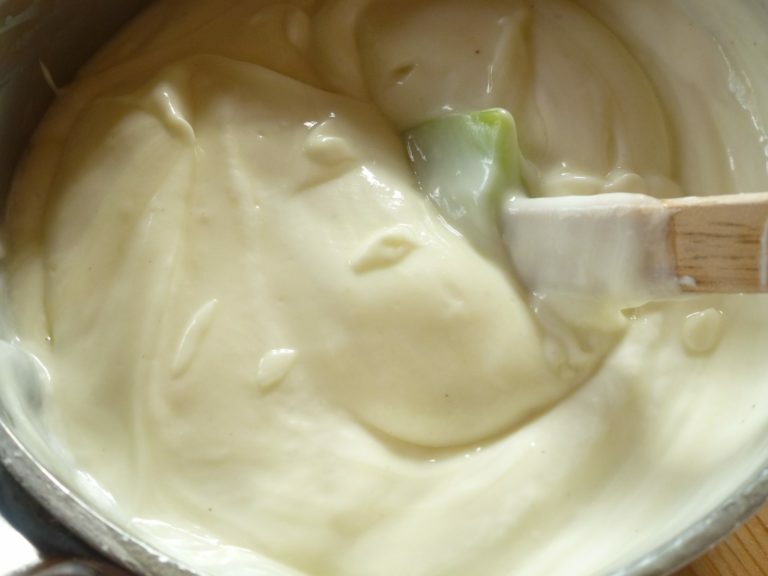 in a medium sauce pan, add cornstarch (or pudding mix), and milk and whisk together until mixture thickens (about 7-8 minutes) Remove from heat and combine quark directly into warm/hot mixture. 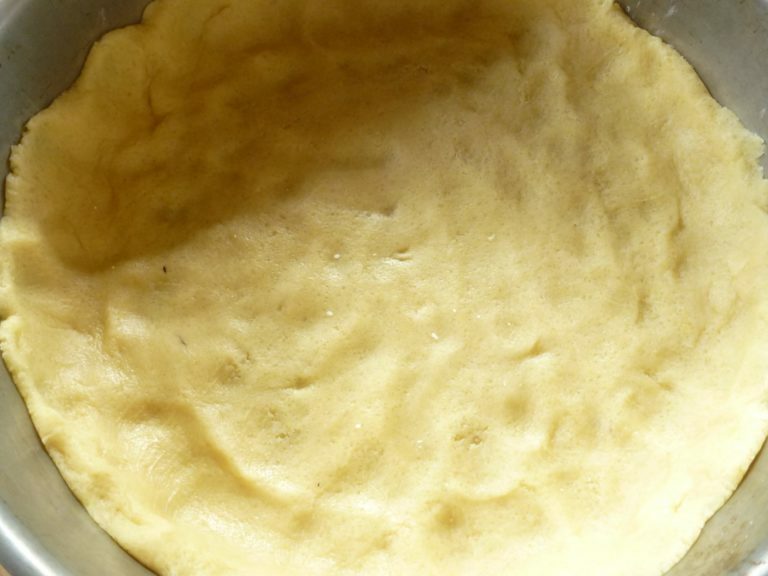 pour mixture into large spring form pan and bake on low temperature (140 degrees Celsius) until lightly brown. Bake for 1 hour, then turn oven off, and crack door, allowing to cool in the oven for 1 hour. After this, take the cake out, and put in fridge for another hour or until well set. I discovered that letting the cake refrigerate for 5 hours minimum is a must! The cake sets perfectly and becomes perfectly firm. The crust is a perfect recipe for this cake! 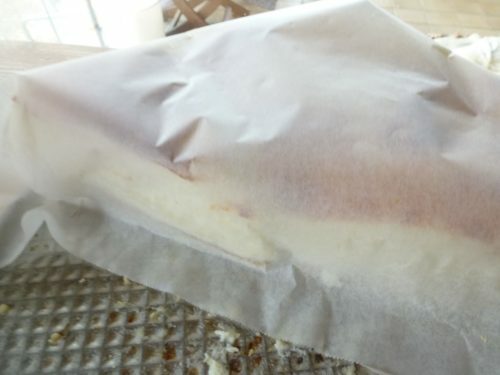 and, to store extra cake in the fridge, just cover with baking paper.